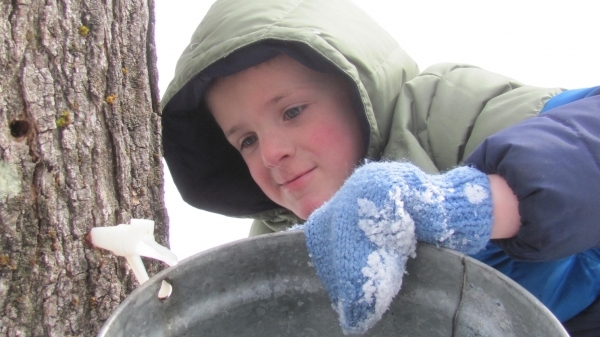 Join us at the Squam Lakes Science Center to explore the natural world in winter with your little one! We will investigate ice and snow, and experience winter with our five senses. Come once or come every month. Program will be held outdoors. 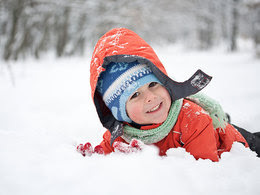 Dress in warm layers with snow pants, hats, gloves, jackets, and snow boots. For ages 2 and 3 - adults get to play too! An adult must participate with children at no additional cost. Cost : $5/ member child; $7/ non-member child. Maple Sugaring Season - Just Around the Corner! Join us to experience an old-fashioned New England tradition—making maple syrup. From tapping a tree to tasting delicious maple syrup, you will participate in every step of the syrup making process. Our environmental educators will help you build tree identification skills, learn the parts of a tree and their functions, use measuring tools to find an appropriate tree to tap, use historical and modern tree tapping tools, learn the history of maple sugaring including Native American legends, and discover the math and chemical/physical science in the boiling process. Moderate hike to and from the sugar house. All ages welcome. Sat., March 3, 10, 17, 24 & 31 at 10:00 a.m., 11:00 a.m., 12:00 p.m., 1:00 p.m. or 2:00 p.m. 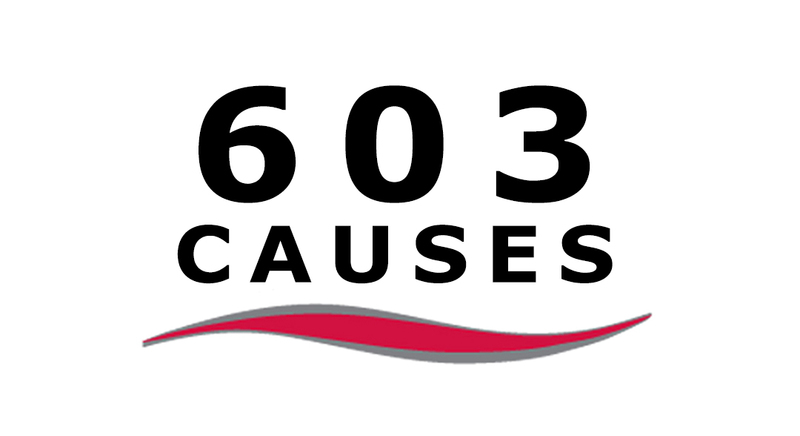 The reason behind "603 Causes"
In an ongoing effort to raise awareness of local organizations and services, the Dow Realty Group has committed to highlighting one such cause each month. Each of our team members has chosen one to focus on, and for the month of January Martha Trepanier would like to spotlight GALA - Global Awareness, Local Action - a nonprofit organization based in Ossipee, NH, that works to translate sustainability education into local action that is practical, effective, and fun. Welcome to 603 Causes! Every single one of us has unique gifts to contribute, to exchange, to transact. Our mission-driven, social-profit, not-for-profit, organization - G.A.L.A. - is in the business of helping people in rural NH discover, develop, and share their unique “bundle of gifts” with the world, in a way that supports their own livelihood while responding to a real-world challenges and community need. These three trends can each be addressed together through what is being called “the maker movement”, characterized by the “makerspaces” taking root throughout the country, but most disproportionately in urban areas. Some people think of makerspaces as a souped-up public library with tools instead of books, spaces where participants explore the intersections traditional trades such as welding, carpentry, and auto tech, with disciplines of information technology, design engineering, and fabrication. They are spaces that allow for multi-generational learning, mentoring around shared curiosity and collaborative problem solving. In other words, they look a lot like what G.A.L.A. has been orchestrating for the last decade, but without a key competent – a physical, dedicated facility – until now. Last fall we received a phone call from Senator Jeanne Shaheen that we had been awarded a $250k matching grant from the Northern Borders Regional Commission to purchase a building to bring this makerspace vision to life. After a successful, yet exhaustive, capital campaign, we were able to raise the required matching funds and close on the 7k sq foot building in at 23 Bay St. in Wolfeboro, NH. G.A.L.A. now has an opportunity in front of us to demonstrate how makerspaces are not simply urban phenomena, but perhaps have an even greater role to play in rural economic development and addressing the skills gap. Our proposed Makerspace will offer training, apprenticeships, micro-credentialing, incubation, and an affordable entry point to prototyping and fabrication. Some participants will utilize these resources to build strong portfolios and skill sets that improve employability and job security, while others will utilize the resources to create their own small businesses or freelance work. Unfortunately, in our most dominant educational setting, accountability and standardized testing are ironically in competition with the fact that students need to be inspired to learn, and that the ultimate purpose of school is to develop citizens that can make meaningful contributions to society. Kids like Trevor, who are forever tinkering with tech equipment, aren’t problems to be solved, but rather the future of our communities, and that given access to the right amount of support, perhaps from someone like Jon, can uncover his or her “unique bundle of gifts” and breaking open all too limiting stereotypical rural career options that are assumed by our young people. The stage is set, the need is clear, we even have the physical space, but it is empty. Community members of all ages are ready to get involved – and they are - swinging hammers, ripping up old carpet, cleaning the slate of this former power equipment repair shop to take on a new life as a makerspace. But we need your help.